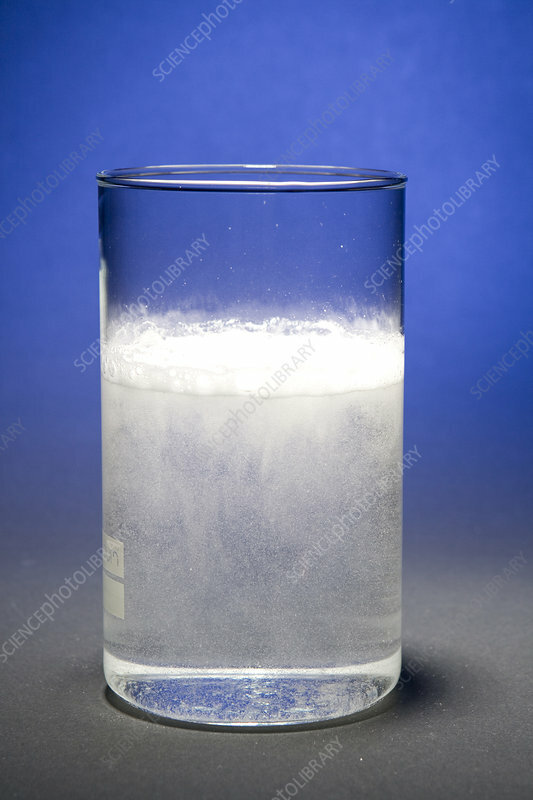 Effervescent powder dissolving in water (3 of 8). The sodium bicarbonate splits apart to form bicarbonate (HCO3-). This reacts with hydrogen (H+) from citric acid, another ingredient in the tablets. This chemical reaction forms water and carbon dioxide gas.